Leesa and Casper are mattress companies often pitted against each other on the internet over the quality and affordability of their products. There are tens of reviews and comparisons made between them, so it gets confusing when it comes to deciding between the two for your own bedroom. In this post, we’re going to attempt comparing them in a manner that is less exhaustive but most efficient. Not because the details don’t matter, but because you don’t need any more complications in evaluations to choose between the two. If you stumbled upon this post while looking for a general mattress, the first thing you should know about Leesa and Casper Mattresses is that they are meant for the slightly well off market, priced almost triple of what you must pay for more commonplace brands. You can think of them as luxury mattresses; they certainly have features to back up the title. Both Leesa and Casper Mattresses are fairly recent players in the mattress market, and their products come at roughly the same price. Both of them are start-ups and associated with some pretty interesting public figures. Casper received funding from the likes on Adam Levine and Tobey Maguire. Leesa on the other hand is co-founded by David Wolfe. Why pit Leesa vs Casper Mattresses against each other? It can be a little daunting to look at so many reviews and websites throwing up jargon on the screen and expecting to make a point. The truth is you don’t need so many factors and outlooks to decide between the two mattresses. For the most part, Leesa and Casper Mattresses are mostly comparable in terms of comfort and price. For this precise reason, it also becomes important to compare between the two (you can’t order half on each and sleep on the one you like better, right?). So instead of the myriad of factors invoked to make one mattress look superior to the other, let’s get down to the ones that really matter. For example, it is wiser to try a mattress for how much or how little motion transfer it allows. When you’re dealing with luxury mattresses, you can be assured they’re both going to feel like a million bucks under you. Any comparison between two high end mattresses is likely to be a case of splitting hairs. Also, since there is no scientific standard of comfort or a reliable graduation system, you’re possibly reading a very biased opinion. Similarly, for a mattress this high in price, it is not important to ask if the mattress has good texture on top. What can matter is whether the company treats you well after you’re done unwrapping your brand new mattress. Or if the mattress is easy to maintain or tough to even drag out. All of that is going to matter. And hopefully, it’ll save you some time reading redundant adjectives. To give a fair understanding, motion transfer is what you experience when your co-sleeper has a disturbed sleep and shifts around in bed a lot. On a common mattress, every time the person next to you moves, you can tell because the mattress bends to a different pressure profile. It is great if it can be minimized. Less motion transfer can mean a better sleep for many. Better motion transfer can be achieved by designing the mattress in a manner that allows area specific bending of the product. It is why Innerspring mattresses come with that wineglass test picture on their boxes. The wine glass test can be a good way to test the mattress. Maybe try using water instead of wine to avoid staining the mattress in case of a spill. We observed both mattresses responding similarly to the wine glass test. There was a little movement in the water, but it might be because we put the mattresses on the ground. Overall, the Casper Mattress fares a tiny bit better, but for all practical purposes, they’re the same in terms of motion transfer. Even the best mattress is sure to have its issues. Be it a tiny tear you notice a few days after opening the mattress, or rarely, a defective mattress you end up with, you need the company to step in, take responsibility and make sure your investment was not for nothing. Leesa and Casper have their customer care phone numbers on their websites, and you should find it easy to contact them through other routes as well, like through email. For the test, we bought both mattresses through Amazon, and it was easy to get in touch with them either. In terms of politeness and response, Leesa felt a little better to us, though it might have well been a difference between customer care executives we got to talk to at random. Calling one better than the other on this criteria would be a silly conclusion for the sake of arriving at one. This is where the big tie begins to break. Standard mattress cleaning is simple. You vacuum the mattress with an upholstery tool thoroughly. You sprinkle baking soda generously over the surface and let it sit for a few hours. And then you vacuum it all out. That’s the easy bit. The real challenge comes when you have to lug the mattress around, like when you want to sun out bacteria that are natural to develop months or a year into use. Leesa is a whole 12 pounds lighter than Casper, and that counts for a significant reduction in effort when you’re trying to carry it around from room to room or into the open air. Even as the dimensions are same, the weight makes a significant difference. Other than this, we did not face much trouble cleaning or maintaining them. 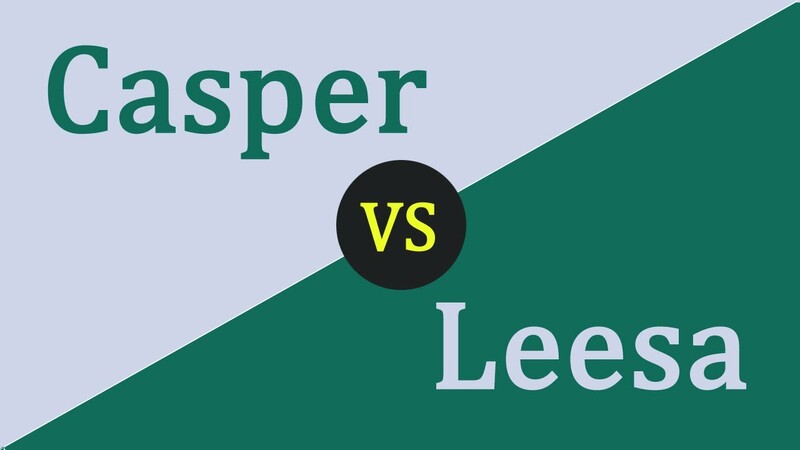 So overall, the Leesa Mattress fares better than Casper in terms of portability, but if that is not a major concern for you, Casper can still be a superior choice on account of the previous factor. Does this help you pick one of the two? I hope it does. If it doesn’t it might help you to consider some features of peripheral importance about the mattress and the company they come from. Both companies are recent start-ups with quite eclectic ideals and approaches to business. Let’s get to it, then. Leesa is a pretty well known for its lack of stores where you can check out the mattress before buying it. Surprisingly, the customers we met were mostly happy with the arrangement. They rated the mattress high in terms of comfort. And the 100 night refund surely played its part in making them feel confident about the entire deal. The USP of Leesa mattresses lies in the much advertised Avena Foam which lays over the lower density memory foam in a 2 Inch layer. Most other mattresses prefer to put the low density memory foam within the top 1.5 Inches of the surface. The risk pays off, believing what customers have to say. The remaining construction of the mattress is pretty standard, following the memory foam route. The low density memory foam layer of 2 Inches meant for contouring the mattress to fit the body’s curve is well supplemented by a 6 Inch High Density Memory Foam layer which serves to keep the mattress sufficiently supportive and taut. There is decent bounce in the mattress as well. 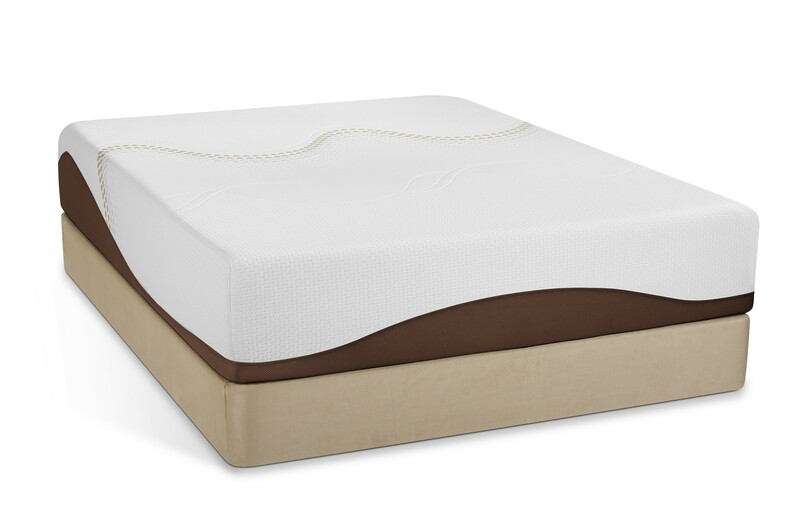 Avena foam puts Leesa one step ahead of most other memory foam mattresses, however. Memory foam distorts only with application of body heat. This is great for contouring, but it often results in heat being stored too close to the body, making it necessary for you to shift through the night to sleep at peace. Avena Foam keeps the mattress cool by virtue of its very build. The design and decoration of the mattress is on spot. The 4 stripes are pretty, and you can use Leesa’s blanket to further embellish your bed. The mattress is claimed to be 100% made in the USA. It is just nice to know for your patriotic side. Leesa ships free. Plus, it is a really convenient box to bring inside and set up. Also, the company donates one mattress to a shelter for every ten they sell. This One-ten program is pretty nice to be a part of. The star of the show is definitely the 100 day return policy. You can try your mattress out, and most probably it’ll fit you like a dream. But on the off chance it doesn’t, you can call the company and ask for the mattress to be returned. Customers’ reports indicate a good response to any such requests, so the promise seems reliable. There’s a lot Leesa can do for you. Does Casper hold up to it? Only one way of finding out. Read more about Casper Mattresses below. Casper mattresses are standard looking, almost to the extent of being plain. But looks notwithstanding, this can be one hell of a purchase. The mattress, like Leesa, is built in 4 layers. Like Leesa, it offers a 100 Night Trial as well with free returns in case you don’t find it up to your expectations. Casper recommends putting the queen mattress in a room that is at least 10*10 Square Feet. Composed of 4 layers of foam, each with a specific function, it is no surprise the mattress receives such enthusiastic response from customers satisfied by its services. The highlight of the construction is the blend of two unlikely partners; a soft latex layer and a somewhat harder memory foam. The resulting mattress sleeps cooler than most memory foam mattresses, has hypoallergenic properties due to the latex and also offers the requisite support to the body in the right contours, adjusting itself with change in pressure with application of your body heat. The conceptualization and building are something Casper is vocally proud on, claiming to have explored more than 100 configurations before narrowing down to 24 beta models that were tested. The process afterwards has all been about human testing by multiple people from all walks of life. Casper also proudly proclaims the many times it has been recognized by many big magazines, which include Forbes, Time and Refinery29 among others. But what sets it apart from Leesa is that Casper has a 10 year warranty that it makes good of for its customers. The mattress comes with a 10 year warranty. Most common mattresses offer just one year. It clearly speaks of superiority of the mattress with respect to the common ones. It also justifies the price with the peace of mind you get versus when you have a one year warranty. Easy shipment helps the customer get the mattress directly from the company, without involving middlemen. This can effectively cut the price to one third of what is otherwise the norm to ask, so you know you’re not being conned by a mattress store salesman. Nobody hates a bad deal. The mattress has a layer of latex, which contributes its hypodermic properties to reduce growth of mites and germs, making it much less prone to foul smells and stenches as well as keeping you safe from possible skin and respiratory tract infections. There’s so much you can get out of your mattresses that it can be hard to keep track of all the features individually. Ultimately, it is your comfort and a more innate feeling of satisfaction that determines whether your mattress is right for you. The reason both Leesa and Casper are shaking up the mattress market is verily this. They are ready to refund your money entirely, and they understand no amount of salesman pitch can keep a customer sleep better on an inferior product. Despite the somewhat high prices, they’ve figured out the way the mattress market is going to find a future in. And this might just be the end of mattress sellers who don’t go with this trend.